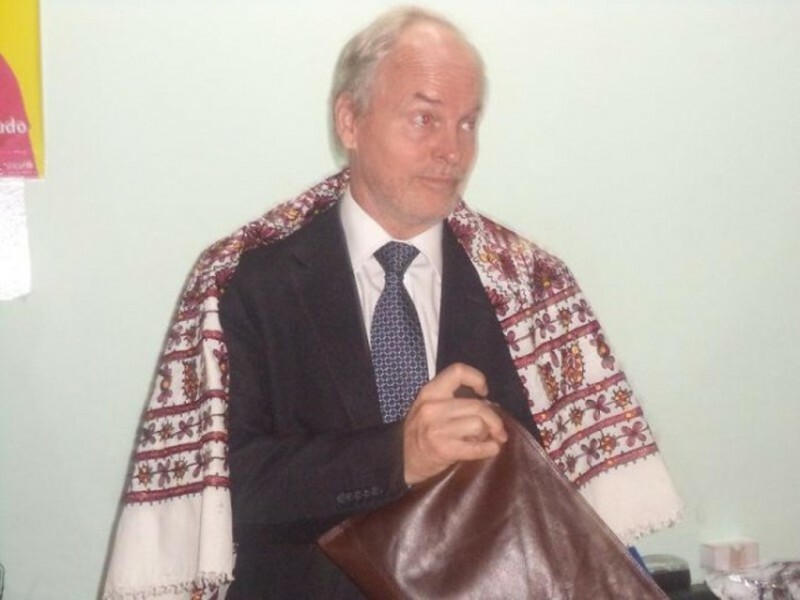 Home frontpage Somalia: Nicholas Kay, "Who is saving Somalia?" 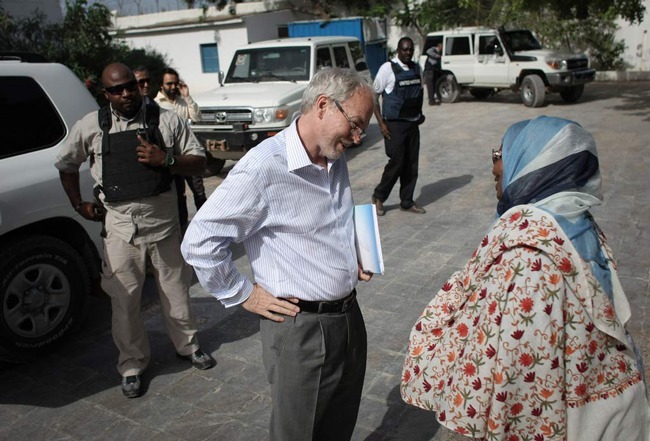 Somalia: Nicholas Kay, "Who is saving Somalia?" Sitting in Mogadishu, it’s easy to think the world needs to learn from Somalia. As human suffering escalates in Ukraine, Syria, Iraq, Gaza, Libya, South Sudan and the Central African Republic, Somalia looks increasingly stable and hopeful. Is that just a mirage? Or are there genuine grounds for optimism and even lessons to be drawn? My answer is an emphatic “yes”. Perhaps, as some say, I’m a professional – almost incurable – optimist. But I am not alone. In New York this week, the UN Secretary-General will convene leaders from a growing band of countries, whose collective efforts over the last years mean that today millions of Somalis can dare to dream that more than two decades of hopeless conflict are over. First and foremost Somalis themselves are writing this new chapter in their nation’s troubled history. Their solution is political – and very Somali in nature, combining modernity and tradition. But the international community – in its broadest sense – also has a significant role in the emerging success. African Union forces continue to expand security and government authority across Somalia. In joint operations with Somali forces, AMISOM is depriving the militant group, Al Shabaab, of key towns. It is now possible to see a day when the terrorists will be reduced to a beleaguered group of insurgents, running out of hiding places and increasingly riven with internal disputes. But we should not be under any illusions. Terrorism will not disappear overnight. Nor will military action – however brave and professional – ever deliver a lasting peace. Peace and security in Somalia will depend ultimately on political solutions. Somalis are rising to that challenge and undertaking a breath-taking feat of political engineering. They have determined that stability depends not on turning the clock back to the Somalia that existed before the state collapsed in 1991, but rather on building an entirely new political construct: a federal, not unitary, state with democratic, not autocratic, governance. Why federal? The political reality in Somalia today is that power – political, military and economic – has dispersed around the regions. A formalised agreement on sharing and devolving that power is the only practicable way forward. Federalism is not an abstract concept. It is about bringing government closer to the people. Most Somalis have not known a government that provides services and rule of law for more than twenty years. For most, Mogadishu is a remote and even alien place. It has provided nothing to them, is not accountable to them and they feel they have no stake in its future. Creating Federal States with their own governments is not an automatic panacea. There are risks: reaching inclusive political settlements with all the clans and interest groups in a particular area is a long and bumpy road. Competition for power and resources is fierce. Nor is it a zero sum game: the Federal Government must be helped to build its capacity and take charge of its national responsibilities. As the new federal map of Somalia emerges, with proto-federal member states taking shape in south, south-west and central Somalia, the intensity and complexity of political negotiation is impressive. But trust between actors is very low. After so many years of state failure, the clan has become a dominant feature of people’s political and security universe. The voice of traditional elders rightly carries great weight. They are able to help people understand that settlements must benefit everyone and that winners cannot and should not “take all”. In this exciting political landscape, what is the role of the UN and other international partners? Essentially we are doing two things: giving direct support to the Somali-led political process and working collectively to create the conditions for successful elections in 2016. The United Nations Assistance Mission in Somalia (UNSOM) and the African Union Mission in Somalia (AMISOM) provide the glue and a lot of the muscle for the international effort on the ground. Forming a federal Somalia, finalising the Constitution, approving it in a referendum and then having national elections in 2016 will not happen unless security continues to improve, women play a bigger role, institutions grow, the rule of law and respect for human rights take hold, and people’s daily lives and economic prospects revive. On all fronts there are enormous challenges, but also noteworthy progress. From afar, Somalia often seems frightening – a dangerous no-go area for internationals. But that reality is fast changing. People are often surprised to hear that every day the UN has about 1,300 staff working across Somalia, of whom at least 200 are international staff working in Mogadishu. We are here to help and here to stay for as long as we are needed. And we are not alone: among others the European Union, Inter-Governmental Authority on Development, League of Arab States, Organisation of Islamic Conference, UK, China, Turkey, UAE, US, and Ethiopia are more and more present on the ground. The Federal Government of Somalia and its President Hassan Sheikh Mohamud are determined to hold elections in a truly federal Somalia in 2016. Their vision is compelling. As the United Nations we shall do our utmost to help. But ultimately the key to success lies in Somali hands and, increasingly, in the hands of members of parliament. As they resume work in September, they have key legislation to pass to enable the country to move forward and enjoy a more stable future. Without the laws to establish the National Independent Election Commission and the Boundaries and Federation Commission, there will be no federalism, referendum or election. This is a time for immense discipline and national unity. Somalis and their international partners have high expectations. This was a clear message given by members of the UN Security Council when they made their historic visit to Mogadishu in August. The message should not fall on deaf ears. Somalis will only enjoy peace when it comes from a political solution. Somalia’s politicians must now be its peace-builders. Previous articleSomalia "Kenya are against the international Maritime laws"
Somalia will will go after the N.F.D. Your conspiracies against Somalia will fail. Will fall, like they did before. ..